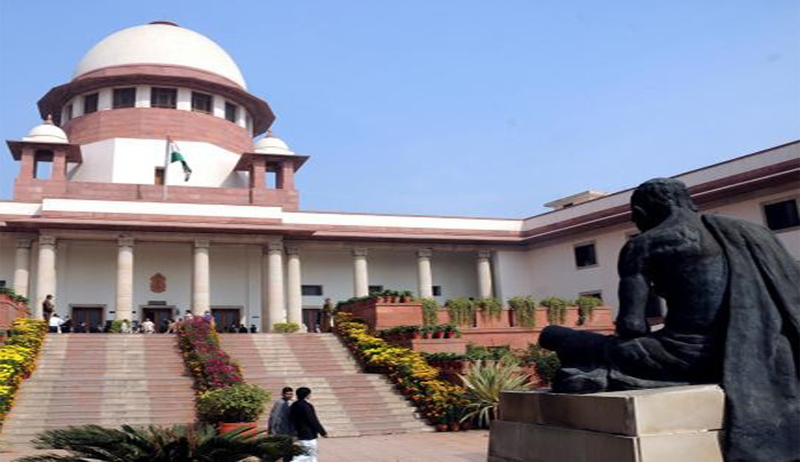 Withering on Human Rights Commissions ,the Supreme Court today observed that the Human Rights panel in Centre or States are merely becoming the hub of post-retirement posts for retired judges. According to the court, these panels neither have penal enforcement power nor theyare able to protect rights of the people. This statement came after Abhishek Manu Singhvi, senior advocate and Amicus Curiae, in a PIL involving inspection on increasing custodial death cases, submitted a report stating that 15, 232 custodial deaths were reported in India since 2007 which demand the active intervention of human right commissions and suggested that the human rights panels should be given more powers. The Court asked “overall what purpose do they serve”?, to which Singhvi replied that such commissions are ineffective as they lack enforcementpower. He also mentioned that despite of having the second highest number of human rights cases (7988 in 2012), being reported in Delhi, it does not have its own human rights commission. Not only Delhi, the north eastern states such as Arunachal Pradesh, Mizoram, Meghalaya, Tripura and Nagaland – all disturbed states are grappling with insurgency, foreign immigration, tribal warfare and ethnic violence – do not have human rights commissions. He also pointed out that the State of U.P which reports the highest number of cases (46,187), the State Humanright Commission is ineffective.. He suggested for the installation of CCTV cameras in police stations, automatic suspension and departmental proceedings against errant cops, and a directive to lower courts to adopt a “zero tolerance” approach in complaints of custodial excesses.